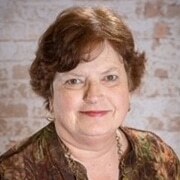 Marla Poe has worked with children and their families for over 34 years. Marla was the Director of Children’s and Family Ministry for 20 years at Mount Pisgah United Methodist Church in Alpharetta and then worked 10 years at Nicholas House/Genesis Shelter helping homeless families in Atlanta. Marla’s favorite time of the day as Front Desk Administration is greeting our children every morning. Their smiles and hugs bring her joy and she says is the best way to start each day.